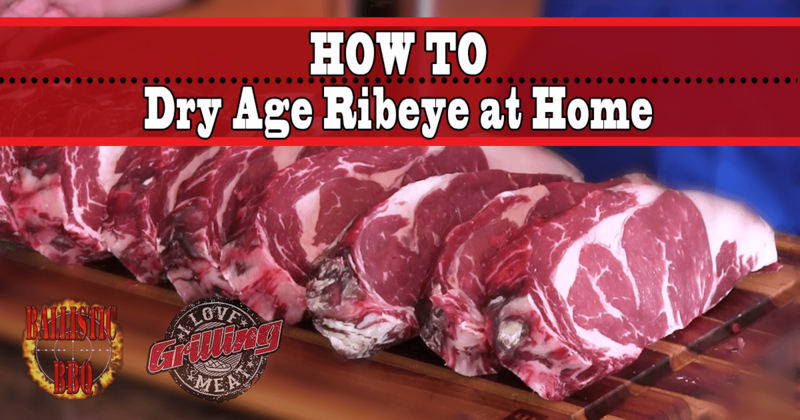 If you bought your ribeye wrapped in a cryovac bag, remove it and wash any liquids off with cold water. Pat the meat dry before putting it in the Umai Dry bag. Fold back the opening of the bag, to avoid getting juices on there that will compromise the seal. If this does not work, make sure to wipe the opening down before sealing. Position the meat along one side of the bag, so all of the empty space is to one side (this will help the bag wrap tightly around the ribeye). Follow the instructions provided in the Umai Dry kit (or the video above) to vacuum seal the bag. After sealing, observe the bag for 10-15 minutes to make sure there are no leaks. Place the sealed bag in your refrigerator for 28 days, and let the aging process work its magic! 28 days later, the meat should have lost some of its mass through the aging process, and once you remove the vacuum bag, the surface should have a hard, wax-like bark. You can either leave it on, or trim it off and use the scraps in a sausage.